Educated as a chemical engineer, Robert Thiemann worked as a copywriter and later editor before heading Frame Publishers. Curious and sharp-eyed, he turned an almost romantic interest in chemical creations into a passion for the beauty of creativity. In 1997 Thiemann founded Frame, a magazine of interior design. With Frame, Thiemann aims to capture the most remarkable built environments to inspire a creative audience. Still at the magazine's helm, he is passionate about the editorial process – conception, in-depth content, graphic design, materialization – and continues to explore new directions. In 2013, for example, the first Ninety Minutes of Frame was staged, a live version of the magazine. It was also the year in which Frame launched its first app. More than a mere digital version of the magazine, it was designed and developed especially for the iPad, making the most of this medium. 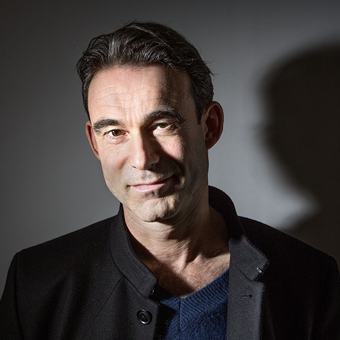 In 2013 he edited the 496-pages thick book Think Dutch, an extensive study of architecture and design in the Netherlands that demonstrates how a system crisis can inspire pioneering visions. In 2014 and 2015 Thiemann conceived two pop-up stores. Both designed by Dutch outfit i29, the stores offered a three-dimensional translation of Frame magazine. Experiential, architectural and graphic, both projects served as mini-department store, contemporary gallery and commercial launch pad at the same time. Both pop ups have won the FX Award for Best Retail Space and have been widely published. Thiemann is the managing director of Frame Publishers, an Amsterdam-based company that also publishes Mark, Foam and Elephant magazines as well as books on art, architecture and design. He has lectured and was a jury member for design competitions all over the world. Fuorisalone is the mother of all design weeks, the biggest design parade in the world. What does Fuorisalone mean to you? It’s the mother of all design weeks, the biggest design parade in the world. If you want to be someone or something in the design industry, you have to show at Fuorisalone. From your point of view, what is the difference between Milan Design Week and other Design Weeks? Milan Design Week is the world’s biggest design showcase. It’s THE event that every designer or design aficionado visits. People I hardly ever meet in hometown Amsterdam I bump into at Milan Design Week. Also, the level of MDW is on average much higher than any other design event. When do you start working on Milan Design Week? This year we only started working on it in December. Much too late. What is the most memorable event you have experienced at MDW? This year without doubt the Nike event. What a briljant piece of branding. Runner up: our own presentation at La Posteria, Brera district, called What the Matter? Design for a Phygital World. Is Milan still the world design capital? What do you expect from Milan Design Week 2016? Yes sir! Without a doubt. From Milan Design Week 2016 I expect inspiration and important feedback. Can you introduce us to your event at MDW 2016? The Frame event was called What’s the Matter? Design for a Phygital World. It showed the work of about 15 emerging designers from all over the world, accompanied by some leading brands. All designs on show merged the physical with the digital in some way. We felt it was necessary to address the rise of digital technology in the design industry, because it seems to be rather invisible in Milan. We believe that out world is increasingly becoming digitized and that designers have to give form and meaning to new technologies.